Loading this custom NBA 2K14 PC roster file will unlock all four hidden All-Star teams in the game, which includes the East All-Stars, West All-Stars, Rookies, and Elites. 1. Download the roster below. 2. Extract and copy the *.ROS* file to NBA 2K14 Saves folder. To find your NBA 2K14 Saves folder, open the run dialog box by pressing the Windows Key + R on your keyboard. Type: %AppData% and press Enter. Open 2K Sports > NBA 2K14 > Saves. 3. Now start the game and go to Options > Load/Save > Load then select All-Stars roster. 4. 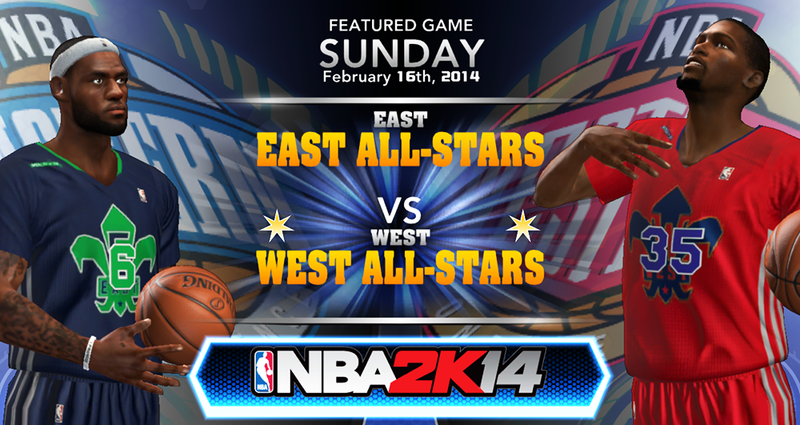 Play an exhibition game/quick game and choose the All-Star teams from the teams menu.